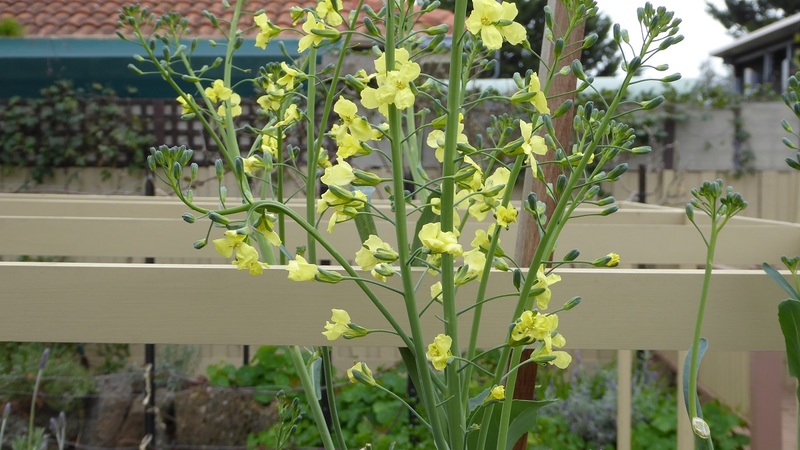 Sustainable Organic Gardening: Blog Sept 2017. This blog is about my garden located in Melbourne, Australia, where summer heat and long periods without rain can make gardening a challenge. It is the gateway to a series of my blogs showing you how I deal with these conditions....John Ashworth 22/04/2017. 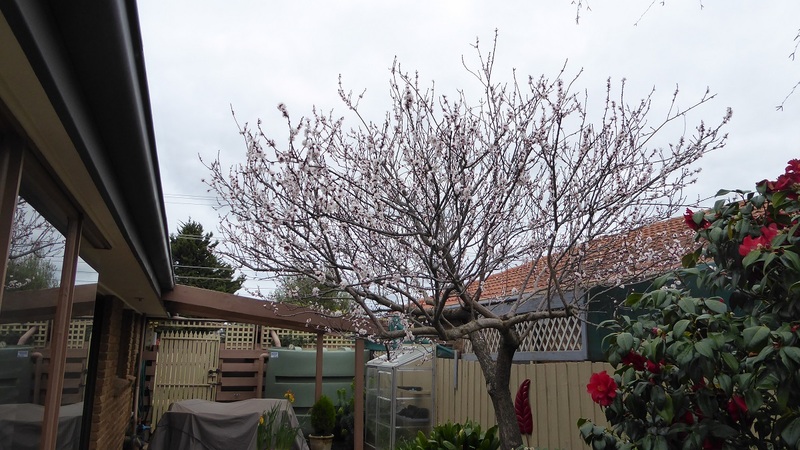 Its the first day of spring in Australia and my dwarf nectarine is welcoming it with glee. 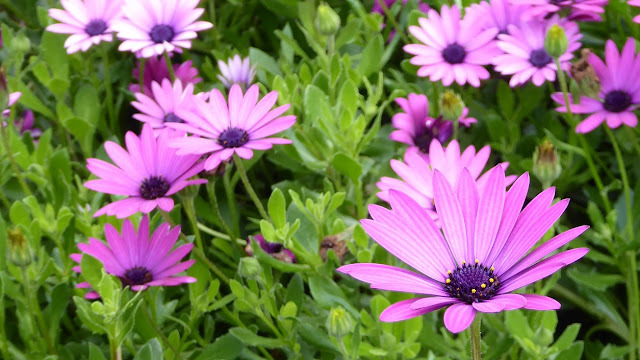 The African Daisies are invading my garden as usual. 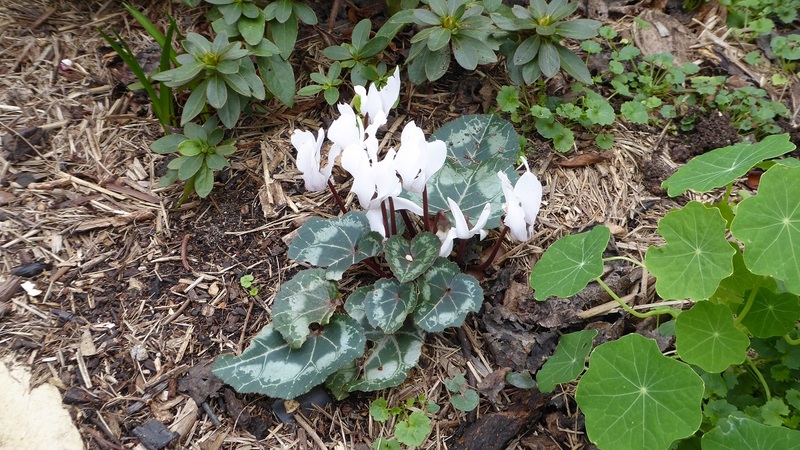 Its the only ornamental plant I cut back before it finishes flowering. This is our very special Red Camelia which flowers right through winter and into spring. I am in the middle of sowing seeds for summer vegetables, herbs and ornamentals in plastic mini pots. 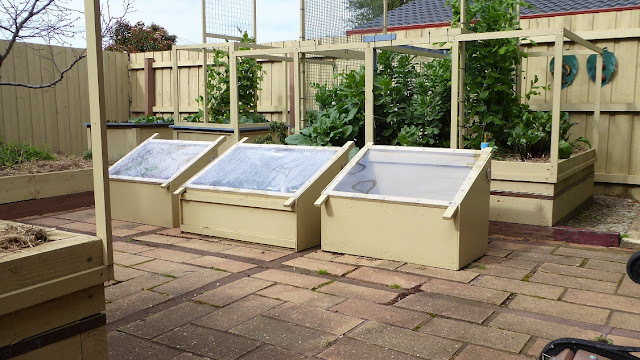 When I transplant them singly into fibre pots, I will need much more space, so I need to get busy building a second EcoPropagator (like the middle one in the photo) to accommodate them. The structures on each side of the EcoPropagator are (on your left) a small propagator for cuttings, and (on your right) a decommissioned small propagator now used to mature and store sieved compost. We have a family of New Holland Honey eaters resident in our hedge in the front garden. 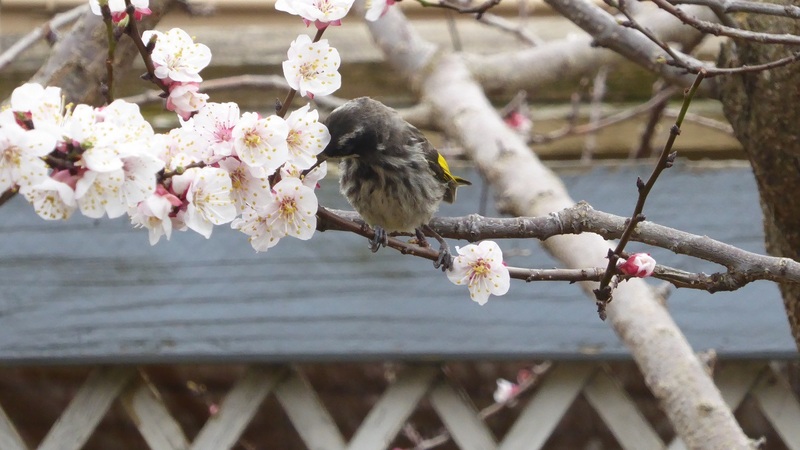 Here is one of them enjoying nectar from our Apricot tree. He looks a bit disheveled today but he is fluffed up against the cold wind. Our Moorpark Apricot tree is well known for being biennial, and last year I only got half a dozen apricots off it. However, we are still enjoying the apricot jam and other preserves we got from the previous year's wonderful harvest. It looks like this year will be good again judging by the amount of blossom we have and the high level of pollinator activity on the tree. 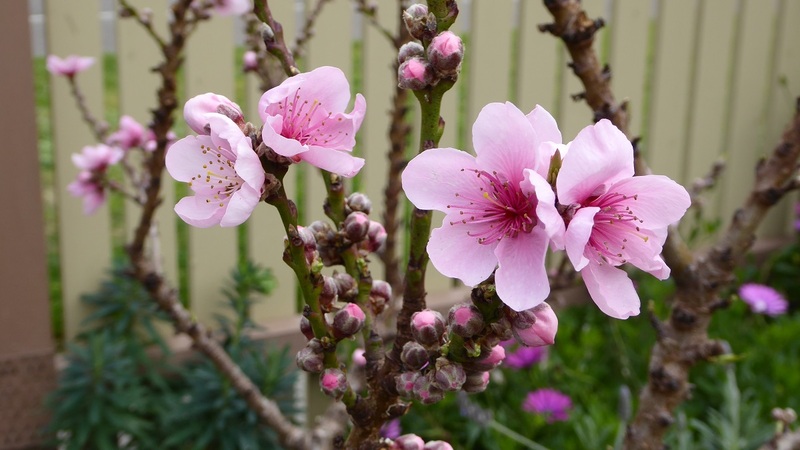 Our Anzac Peach blossom is always slower to open compared with our other stone fruit trees. As you can see, I removed half last years growth after the crop was harvested early last autumn. 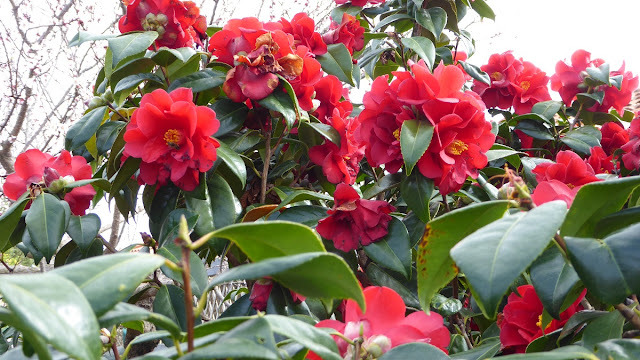 This practice helps keep the tree more compact than it otherwise would be and redirects energy to flower bud development. I gave the tree a spray of lime sulphur a few weeks ago to control leaf curl, protecting the ground and surrounding foliage with old bedsheets. 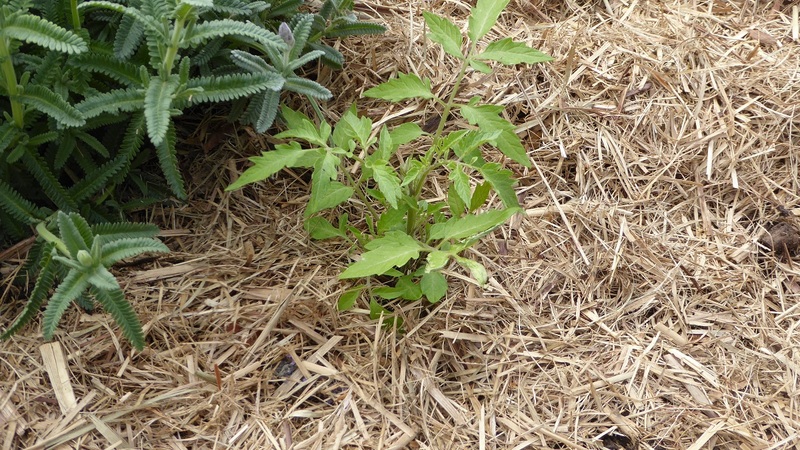 I then stripped dead leaves and old mulch from the soil, applied a 50mm layer of fresh compost over it and covered it with a generous layer of fresh organic straw mulch. 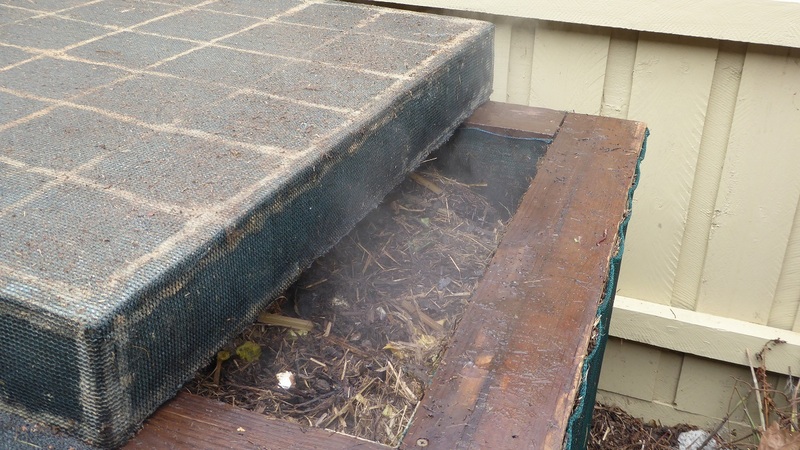 This helps keep pests under control, and the organic waste makes a great addition to my stock of "browns" for composting. The climbing peas are growing strongly again this year, but high winds have blown them around a bit and they are very untidy compared with previous years. 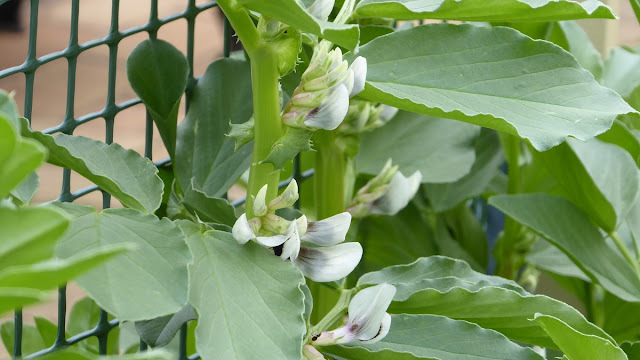 The broad beans are better protected from high winds and are looking good. We are getting towards the end of our broccoli harvest and some of the shoots are turning into flowers. Still they are quite pretty, and are surprisingly attractive to bees. I have never planted potatoes this densely before, and its a bit of an experiment. The only real limit is on how much sun the leaves can capture for photosynthesis. I may have overdone it, but we'll see. 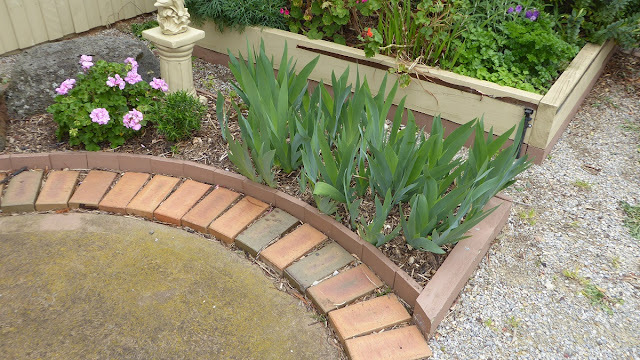 The Iris are growing strongly and should produce masses of yellow flowers this year. 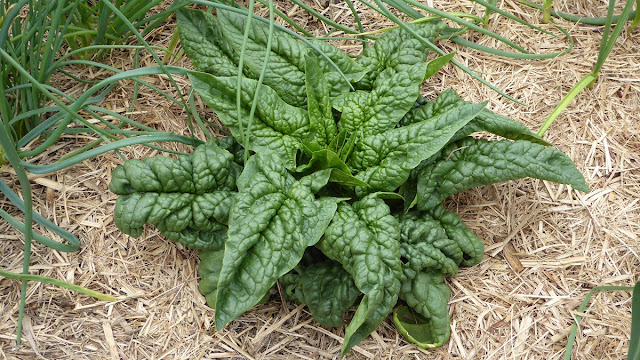 This is English Spinach, its looking healthy, and we should be able to harvest a few leaves later in the month. I want to grow small crops of carrots each month instead of larger batches twice a year, and to do this, I have to sow them in soil at 15C plus. The above photo shows my first attempt. These carrots were started in the EcoPropagator in bottomless jiffy pots, and they were planted out while they were quite small to minimise root disturbance. The few thinnings I have sampled so far have had healthy straight roots, so I am hopeful it will be a success. 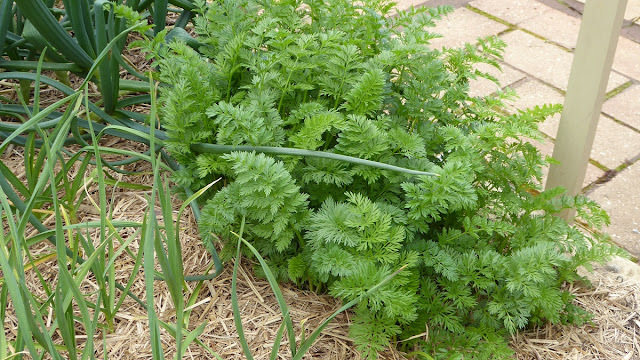 If it works, it will extend the growing period quite a bit, and we could have carrots all year round without occupying large areas of Ecobed. 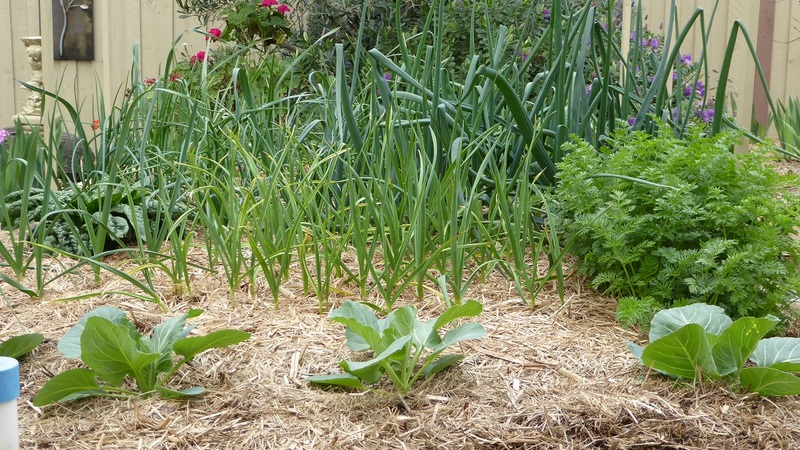 The onions, leeks and garlic are growing well and so far there is no sign of the dreaded blackfly. If and when they do arrive, I will spray them with a 10% full cream organic cows milk solution in water from my rainwater tank. 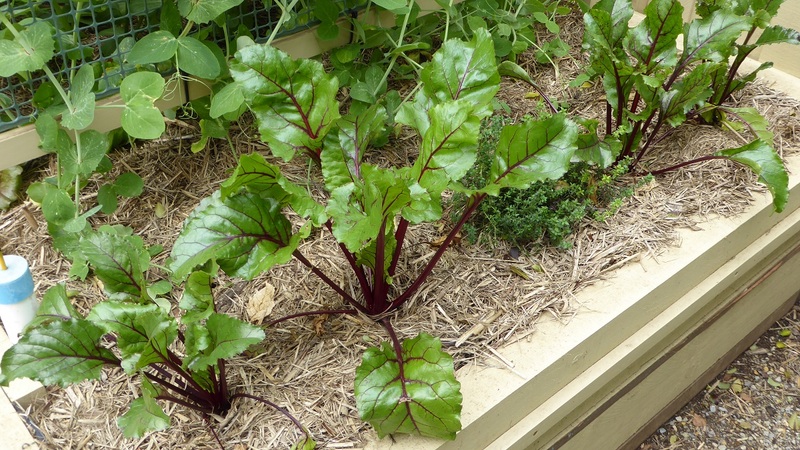 These 2 silverbeet (chard) are growing well and we have started to harvest a few leaves. They are very tasty steamed with salt, pepper, mixed herbs and ground nutmeg. 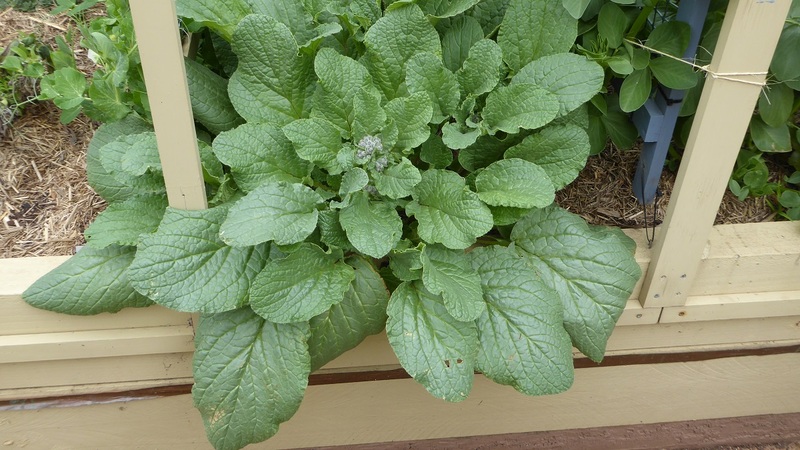 This blue borage self seeded last autumn, and is about to flower now. 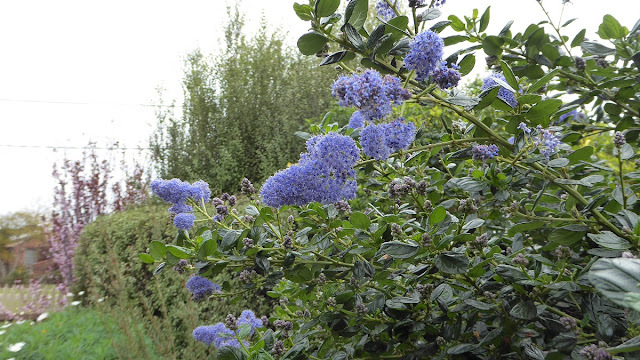 Last year it attracted bees in large numbers, and the timing could not be better with so many fruit trees starting to blossom. I am sowing a few beetroot every month these days. The ones above should be ready soon, and I have just planted out another 5 seedlings. With a third batch currently in the EcoPropagator, we should have a continuous supply going into summer. We have reached day 4 in the current batch of hot compost. Its been turned once and has been steaming like this for the last 2 days at a temperature of 65C. It should be ready in another 8 days. So far this year (since January), I have made a batch every month, so if I continue at this rate I will have made and used about 3600 litres of compost this year. Fed once a year but otherwise neglected, these miniature cyclamen emerge in late winter to add a bit of colour to the garden. 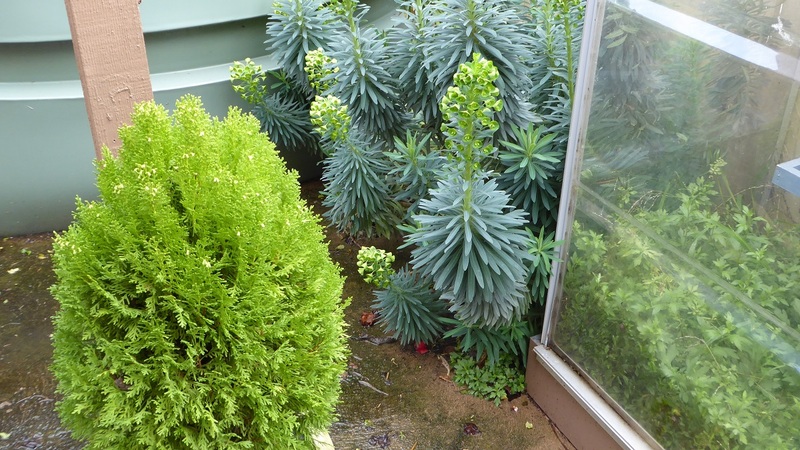 Euphorbias are self seeding everywhere in my garden, and these originated from their parents over the fence. 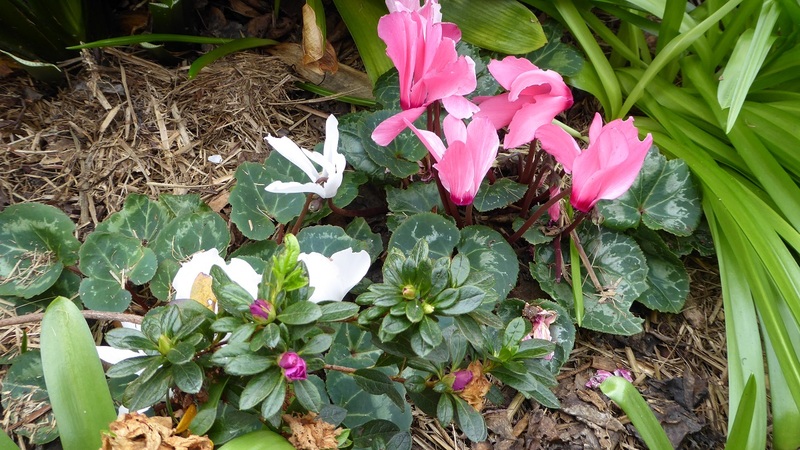 They fill an ugly spot and are wonderfully drought resistant. The potted fir tree is about 10 years old and is also self seeded from a parent plant long gone. This Californian Lilac has just starting to flower. 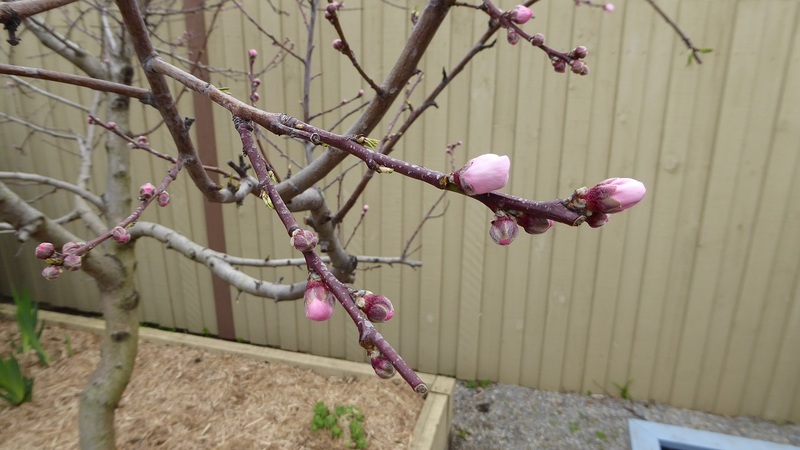 There is an absolute mass of bud covering this small tree, and the pollinators will love it when all the flowers are open. 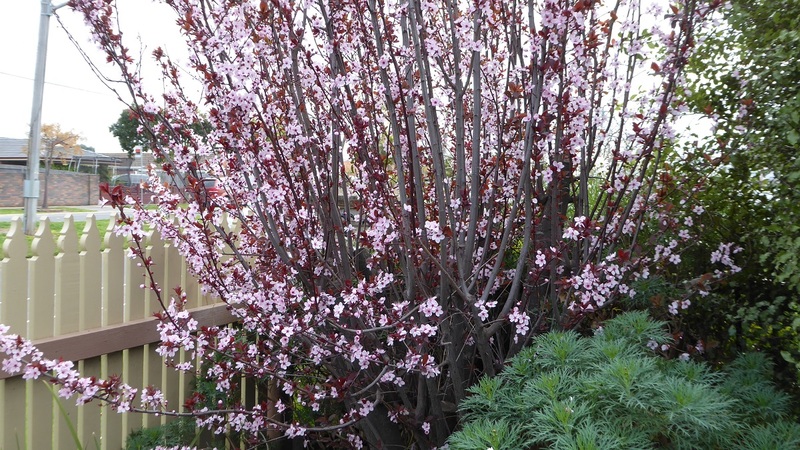 Our ornamental plum tree is in flower and brings pollinators to this part of the garden. 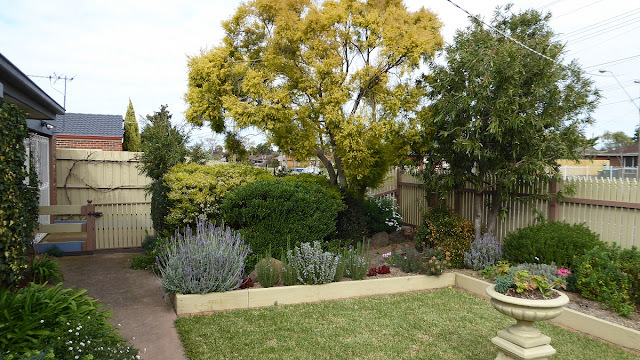 This area looks nice at the moment, but the rosemary bushes will dominate this narrow bed and block the footpath behind it if I don't keep them trimmed. This is the ugly base of my espaliered Granny Smith apple tree. I deliberately grew it like this so the roots would be central in the growing bed, yet the foliage would reach into sunlight instead of being shaded by the fence nearby when the blossom emerges. The bed has been cleared of debris (more waste for the compost heap) to reduce the threat from pests like codling moth. 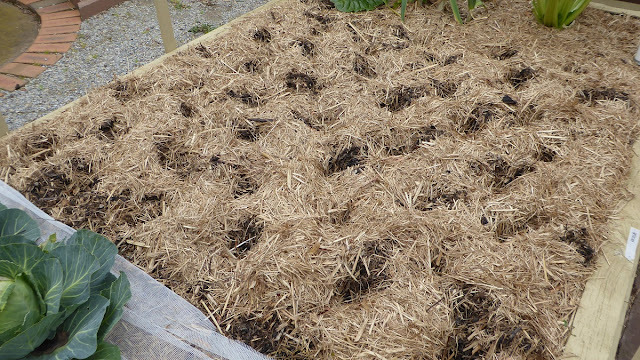 The soil has been covered with about 50mm of fresh compost, and when I get round to it, I will cover the compost with fresh organic straw mulch. The glue band tied to the tree is designed to trap codling moths as they climb the tree (when temperatures rise to a daily maximum of 17C plus). The moths mate in the trees foliage and the females lay their eggs near or on the apples as they set and grow. 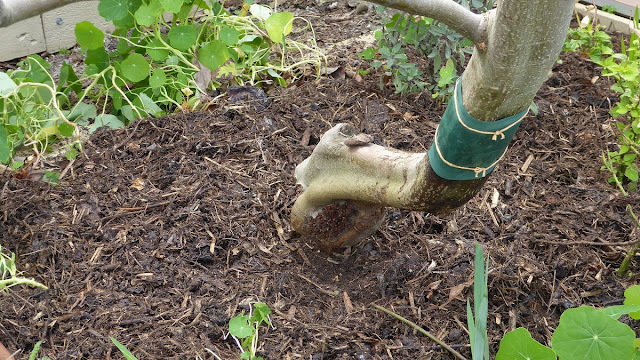 This is only one of many possible preventive measures available, but last year I used small nylon ankle socks tied over the apples to protect them. I used 200 of these socks leaving a few apples to their own devices. About a third of these unprotected apples were attacked by codling moth, and a very small number were attacked by moth larvae trapped inside the socks. They must have got to the apples while they were very small, before I could get the socks on. Still I estimate I only lost about 5% of the crop which is acceptable. This tomato plant was found in my EcoPropagator about 6 weeks ago. It is probably a self seeded Tommy Toe tomato which originated in a nearby Ecobed growing them last year. Anyway, its off to a good start, and if there are no late frosts, it should do well. I have only just sown this years crop in the EcoPropagator, so maybe I'll start earlier next year. This is space occupied by a couple of Mini cauliflowers and two Romanesco broccoli until last week, and a replacement crop of lettuce and cabbage will occupy the space until my tomatoes are ready to be planted out in early October. I plan to grow 16 tomato plants in this bed. 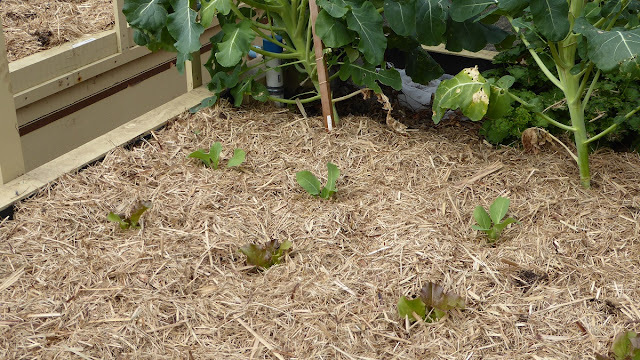 These cabbages and lettuce were transplanted at a mature stage in their growth about a month ago to provide space for my crop of potatoes. I lost one of the lettuces, but the others are growing strongly. 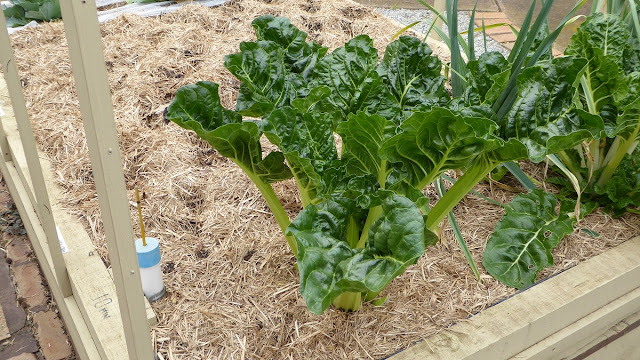 The lettuces seem to be normal, but the cabbages are a bit more open than usual at this stage. We continue to learn from our experiences. 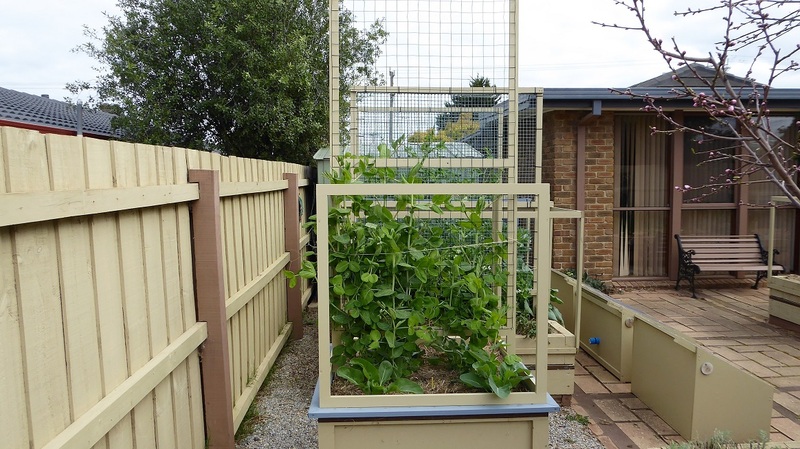 The other small Ecobed now has an exclusion frame and a removable climbing frame. 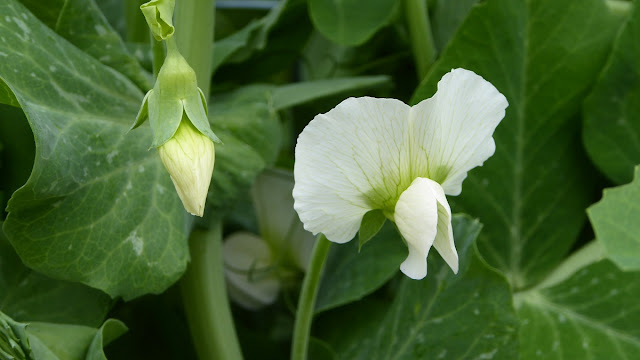 Its growing climbing peas at the moment, and will probably grow climbing beans in summer. 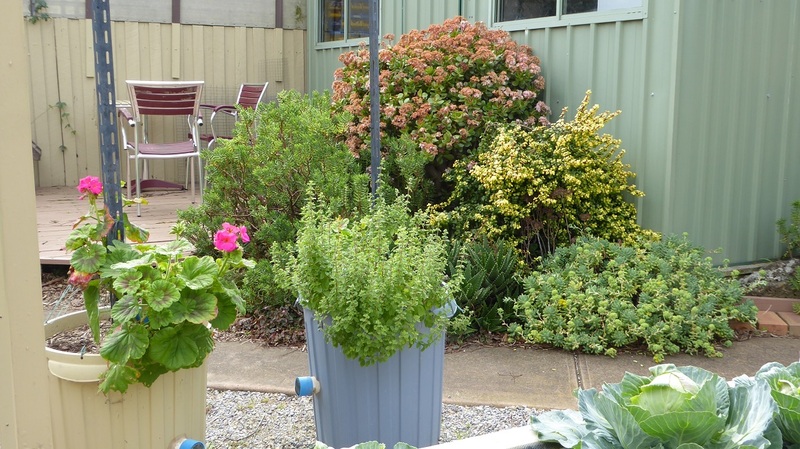 I plan to build a third one of these elsewhere in the garden to retire some of my Ecobins. 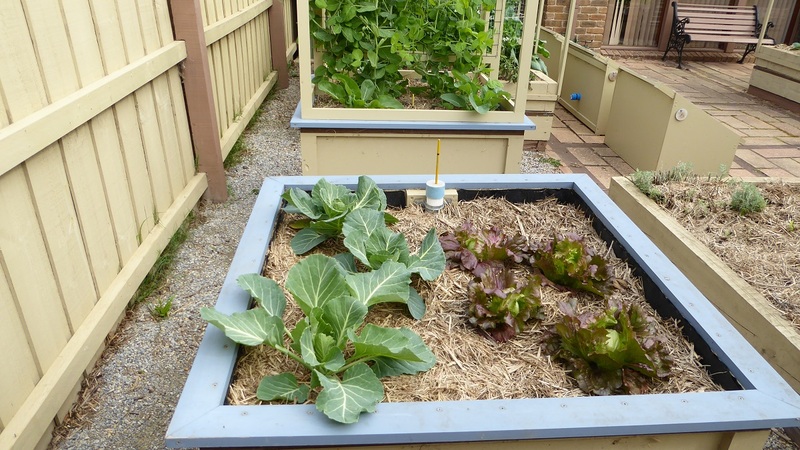 Ecobins are very effective in very small spaces, but they are a bit labour intensive because they need filling more often than small Ecobeds, and grow far less product. This is where the third small Ecobed will be located. These 2 bins and possibly 2 others will be retired before summer. 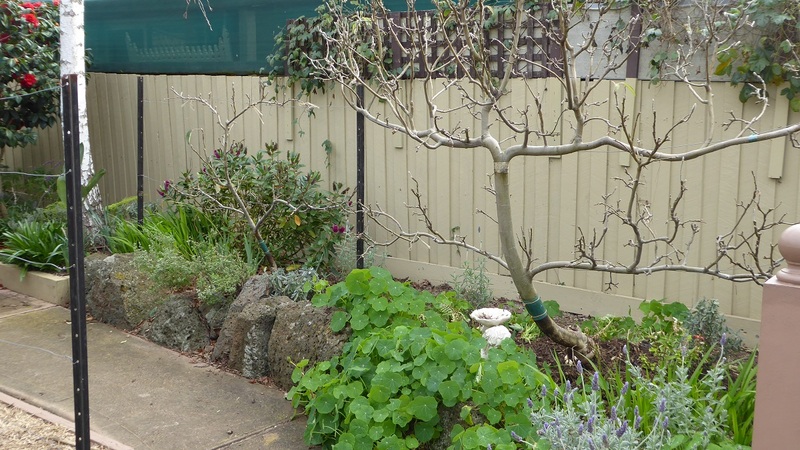 There are plenty of buds forming on the two espaliered apple trees, and I am hoping for another good crop this year.